DENVER–(BUSINESS WIRE)–BLMG Holdings LLC (BLMG), a holding company with a diverse portfolio of companies providing comprehensive, disruptive green solutions and services for emerging industries, announced the appointment of on-air financial celebrity and radio personality Michael Yorba to its Board of Advisors, effective September 25, 2018. 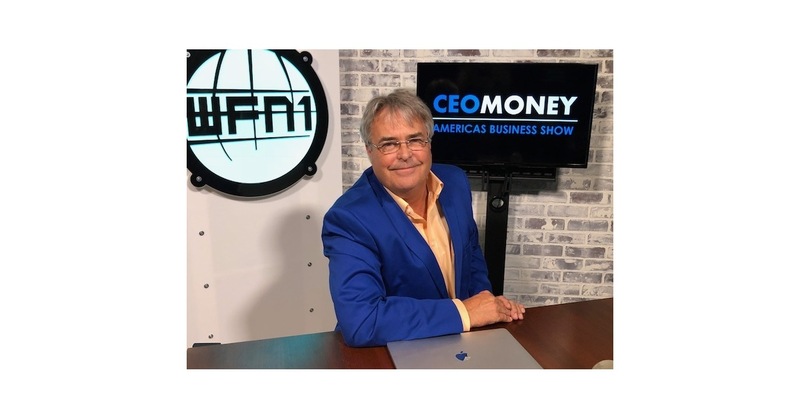 Yorba is WFN1 News Corporation Chairman of the Board and host of CEO Money, Commodity Classics and The Traders Network. For more than a decade, Yorba has served as a media industry leader in various capacities such as building an IPTV network, developing, producing and hosting daily one-hour talk shows for instance, CEO Money, which airs live daily on radio, TV and online. To date, his shows have been viewed in nearly 80 countries around the world. Over the course of his career, Yorba has held positions across corporate finance, commodity futures and securities trading. His financial expertise includes holding licenses in the following categories: Series 4 Registered Options Principal; Series 7 General Securities Broker; Series 63 Uniform Securities; Series 22 Direct Participation Programs; Series 3 National Commodities Futures; Series 30 Futures Branch Manager; and Series 39 Direct Participation Principal. The BLMG Board of Advisors includes skilled professionals with expertise and knowledge that span across the financial, technology, energy and sustainability sectors, instrumental in driving the growth of BLMG portfolio companies. BLMG's companies are driving the future of indoor agriculture through its suite of proprietary, eco-friendly intellectual properties, technologies, real estate and land management approaches. Today, BLMG’s turnkey, controlled-environment facilities are complete with off-grid or hybrid energy, water management and ongoing services. With a portfolio that cannot be found anywhere else in the world today, BLMG companies help clients consistently accelerate growth, remain compliant and enter new markets in smarter, more sustainable ways. In pursuit of a cleaner and more livable planet, BLMG Holdings grows and maintains a diverse portfolio of companies that provide comprehensive, disruptive green solutions and services for businesses and individuals in emerging industries that are facing tough environmental and regulatory challenges. We are driving the future of indoor agriculture through our suite of proprietary, eco-friendly intellectual properties, technologies, real estate and land management approaches. Our turnkey, controlled-environment facilities are complete with off-grid or hybrid energy, water management and ongoing services. With a portfolio that cannot be found anywhere else in the world today, we help our clients consistently accelerate growth, remain compliant and enter new markets in smarter, more sustainable ways. For more information, please visit: https://www.blmgholdings.com or follow us on Twitter at https://twitter.com/blmgholdings and on Facebook at https://www.facebook.com/blmgholdingsllc/.